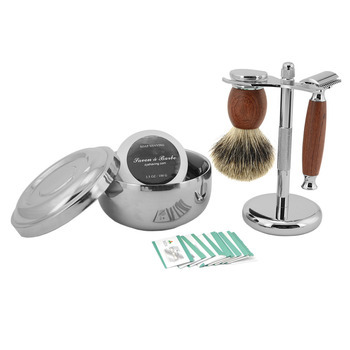 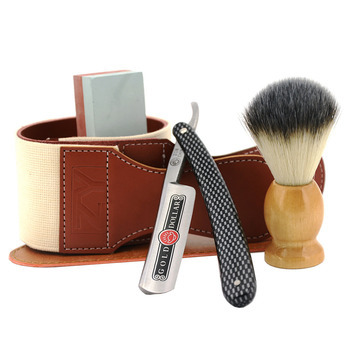 Anbbas Barber Shaving Brush Badger Hair, Black Acrylic Stand, bowl and Soap Set. 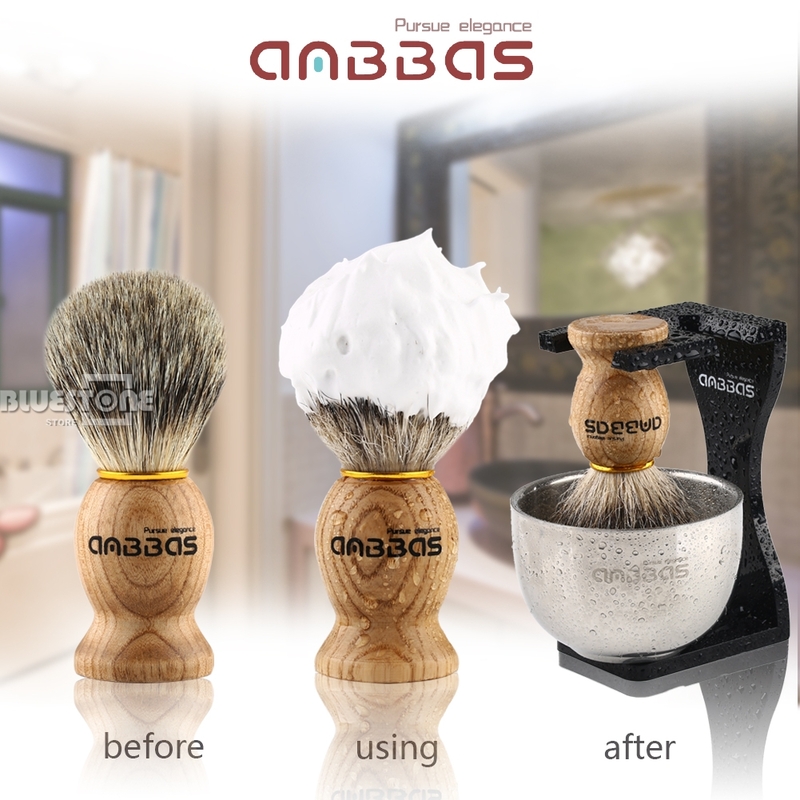 The brush has water absorbing and heat retention capabilities. 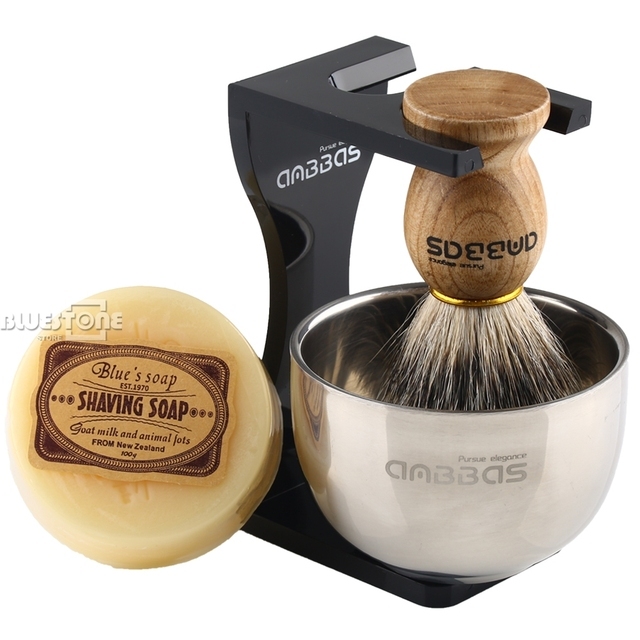 It works well with all soaps as well as any foams, gels or creams; perfect for thick, glossy lathering, easy to clean, and fairly quick to dry. 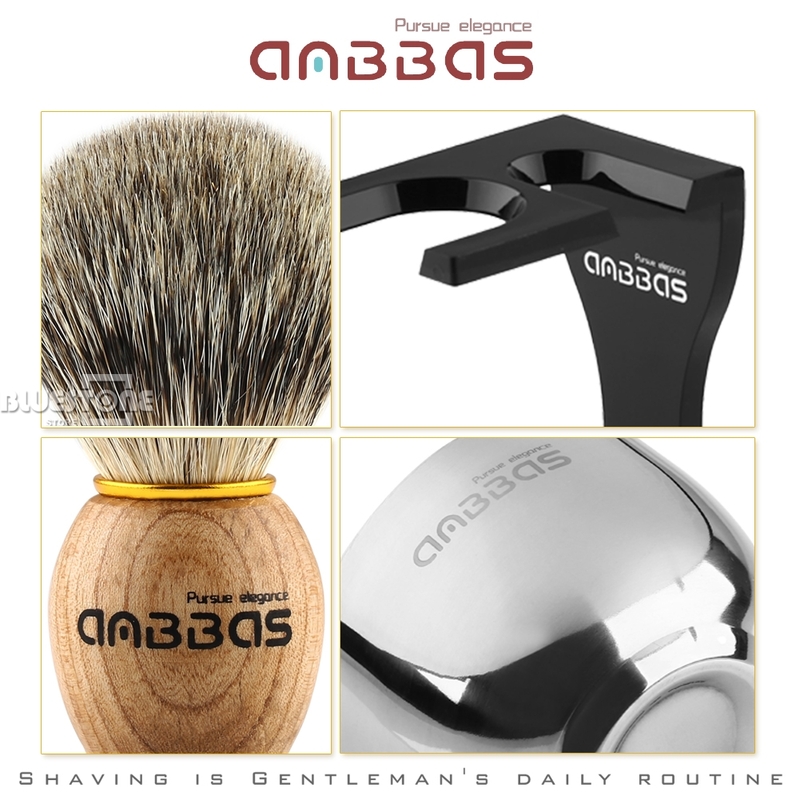 The bowl is made of stainless steel material, which is not rust easily so that provides a guarantee of the quality for use safely. 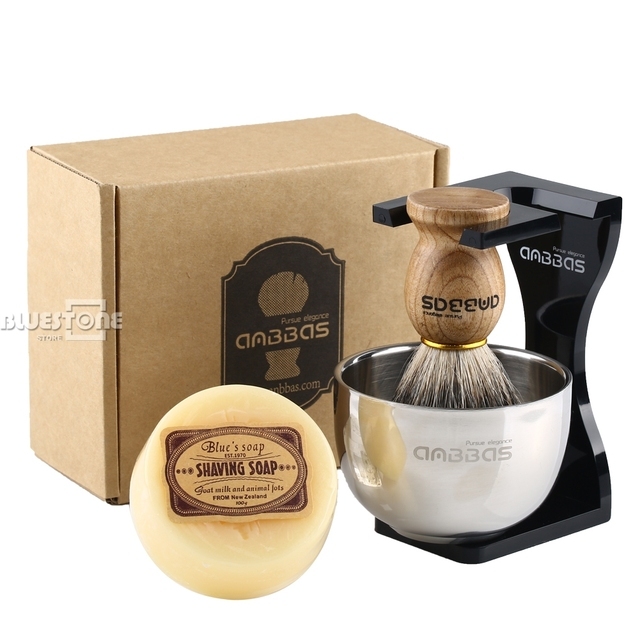 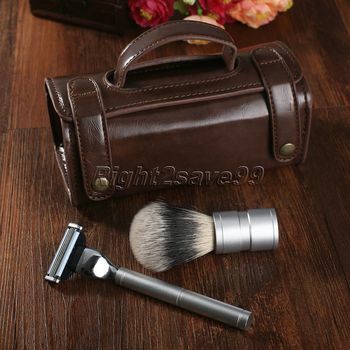 The soap creates a rich, foaming lather for shaving that is lasting and specially formulated so would not dry on face.